Haida Gwaii offers some of the best salmon and halibut fishing in the world and when visiting Masset the fishing grounds are only minutes away. QCI Vacation Homes is pleased to offer day fishing trips through Masset Fishing Adventures, in operation since 2000. Masset Fishing Adventures’ uses purpose built 24 foot Sea West boats built by Jenkins Marine in Sooke, BC which are fully compliant with all Transport Canada guidelines. 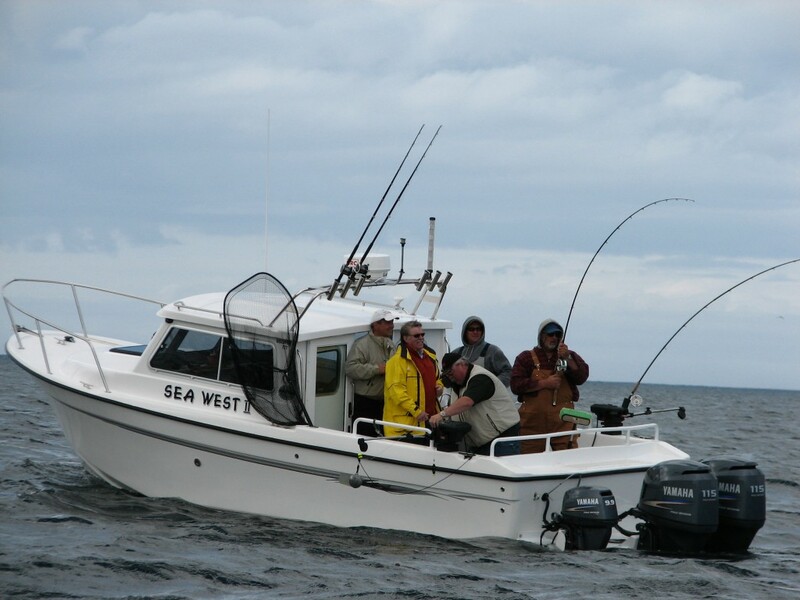 Masset Fishing Adventures offers experienced, friendly and qualified guides along with top of the line fishing equipment. For more information regarding what Masset Fishing Adventures has to offer, please select the tab for day charters or click here. 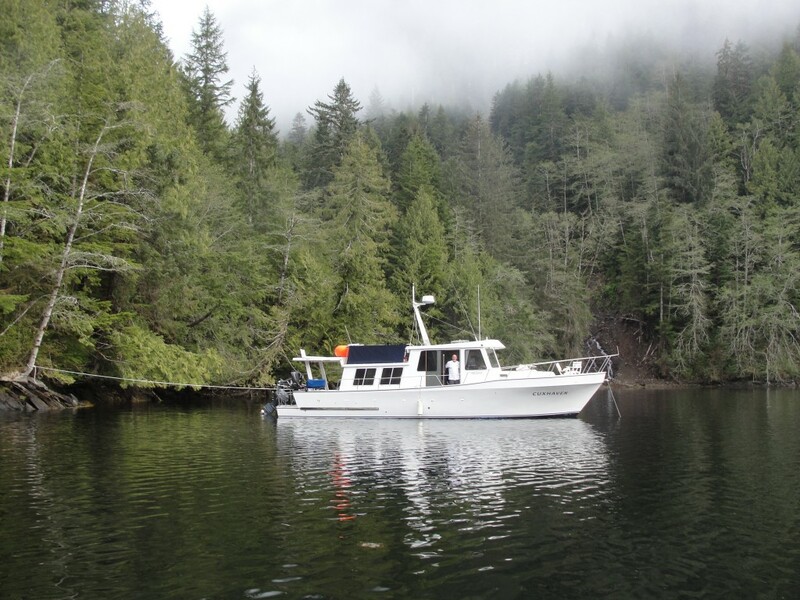 QCI Vacation Homes can also offer a “live-aboard” fishing adventure aboard the Cuxhaven, a 40 foot fast trawler built by Independent Shipwrights in Coombs, BC. Most of these boats are part of the tuna fleet off the west coast of BC however a handful were built as recreational yachts. These boats are very seaworthy and ideal for exploring the northern shores of Haida Gwaii in relative comfort. The Cuxhaven can be used as a fishing platform for the more serious explorer or as a floating lodge by towing a smaller sport fishing boat for the more serious fisherman. Day fishing charters are available on this boat.